"My experience with Hermione in Bristol was wonderful and I loved my piece so much. Madeleine we could not be more delighted to have been a part of your most special day. Thank you so much for sharing your beautiful wedding photographs with us captured by the talented Janette Edmonds at Beautifully Photography. 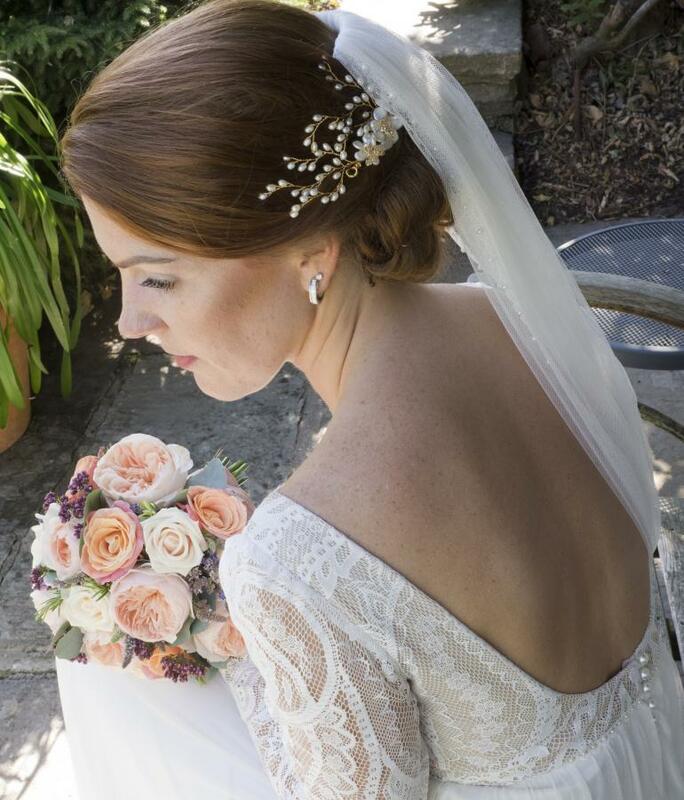 Madeleine is wearing a bespoke Wild Rose Headpiece created by Hermione Harbutt.